The Nath Panthi Davari Gosavi community, five of whose members were recently lynched in Dhule, has been facing ostracisation, discrimination and violence for years. Mumbai: On May 5, 2012, three men – Supada, Hasan and Punjab – had travelled from their hometown Mohaddipur in Buldhana to Kalmana in Nagpur. They had cross-dressed in colourful saris, hoping to earn some money dancing and begging. During this time, rumours of a “sari-choli gang” roaming around the town and abducting children were rife. The three men were “outsiders”, they were dressed “strangely” and “looked suspicious”. 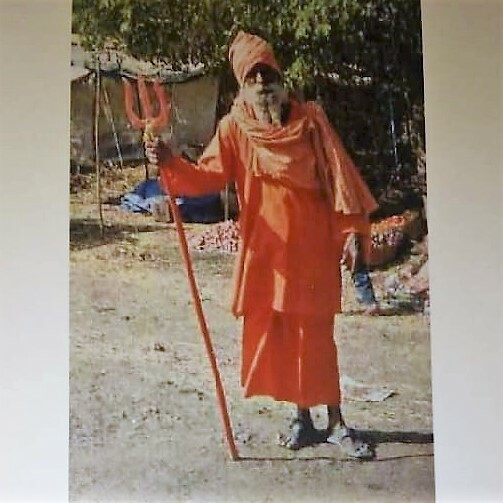 A mob allegedly gathered in a Nagpur suburb, and without provocation, caught hold of them, tied them to a light pole, beat them with sticks and stones, and lynched them in full public view. The case is pending before the Nagpur bench of the Bombay high court. Besides the mob, the police are also accused of playing a crucial role in the case – of allegedly helping the mob capture the three. All three victims belonged to the Nath Panthi Davari Gosavi community. In 2016, another group of four men had travelled from a village in western Maharashtra to Dhule. They were dressed in yellow saris and had applied vermillion on their foreheads. Each was carrying a brass tray with photo frames of Kaalbhairavnath, their community deity, on their heads. Just hours before they entered the village, a case of housebreaking was reported. Villagers caught hold of these men and beat them brutally. The police intervened in the nick of time and they were rescued – but not before their bones were broken, head tonsured and clothes torn to tatters. These four men also belong to the Nath Panthi Davari Gosavi tribe. A similar incident of mob violence occurred in Bijapur, Karnataka last year and the simmering anger could be contained only when the police jumped into action and whisked the three victims – two men and a minor – off the scene. The victims had travelled from western Maharashtra and their caste was later confirmed to be the same – Nath Panthi Davari Gosavi. 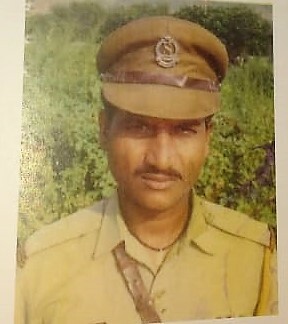 The five men – Dadarao Bhosale, his brother Bharat, Aappa Ingole, Bharat Malve and Raju Bhosale – who were lynched at Rainpada village in Sakri taluka in Dhule on Sunday, July 1, also belonged to the same Nath Panthi Davari Gosavi tribe. These cases are not a result of social media-triggered rumours. Violence like this is a grim reality for the community which survives on the periphery of cities and villages, begging for alms, wandering around with cows or “entertaining” the crowd with their ingenious jokes. Some even cross-dress, or dress up as the police, jokers and Hindu seers, and remain on the move most of the year, travelling as far as Assam and Kashmir. The semi-nomadic Nath Panthi Davari Gosavi community has for long faced ostracisation, discrimination and violence. It is one of the 42 nomadic and denotified tribes of Maharashtra – the largest among all states – with a population of about 6-7 lakh. Most among them can be found wandering in cities and villages of Maharashtra and other states. Since over 95% of the community is landless, they mostly live in makeshift plastic tents built on open grazing land outside village boundaries or in slums. The official nomenclature for the community varies in different states but all of them are unified by their belief in their community god Kalbhairavnath. While the community was not added to the “criminal list” officially maintained by the British, it has remained an easy target for the police both in colonial and post-colonial India. Kalidas Shinde, a 35-year-old sociologist from Bombay who is from the community, says that almost every other family has a case or two registered against them. “At least today some of them carry mobile phones. Earlier they would leave home and the family back in the village would have no idea where their folks have gone to and if they would find their way back home safely,” Shinde says. Shinde is perhaps the second from the community to hold a PhD degree, that too from the prestigious Tata Institute of Social Sciences. Apart from him, the community leaders claim, only three or four have a master’s degree. “Education has never been and can never be the primary focus of the community which struggles for shelter and food. Some of us managed it anyhow, working while studying and taking about three times more time than what an average privileged person with ample resources would take,” Shinde adds. This reporter, while pursuing a master’s degree in law, had studied the Jat Panchayat (caste council) that is prevalent in the community and the reasons why community leaders are trusted more than the established criminal justice system. During the course of research, the writer had met Machindra Chavan in 2015, then a senior police inspector with the Pune police and now a deputy superintendent of police with General Railway Police. Chavan, who holds an MBA degree, was the first from his community to complete class X and everything that followed. Chavan, besides being an “influential person” in the community, is also considered a mass leader. His achievements and dedication towards his community has influenced a few young people to keep studying. Chavan has created a “community directory” and identified 641 persons to have crossed the class X milestone – a number quite telling of the educational levels of the tribe. Chavan has been circulating and reprinting the copy of this directory and urging people to contact the educated ones for guidance and in times of crisis. Of these 641 persons, 227 have joined the police service, which Chavan says is also the community’s way of ensuring security against state atrocities. 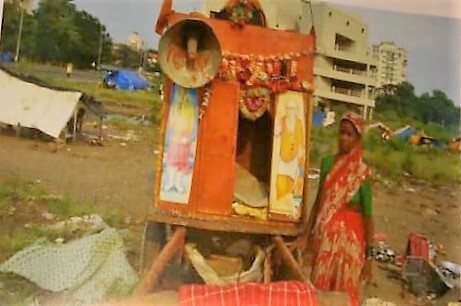 Each time a young person from his community is picked up by the police, or women are harassed for squatting outside temples with cows and begging, Chavan gets a call. He then either contacts the local police station or social activists from the region and gets them to intervene. “Even after the Dhule incident, Chavan was the first one to reach the spot, help the families travel from Solapur to Dhule and was involved in demanding compensation for them,” Shinde says. However, The Wire has not been able to reach Chavan on the phone since this incident. The blatant criminalisation of the community could actually explain why the tribe still believes in its Jat Panchayat. Despite its flaws and regressive stands against exercising choice in marriage and educating girls and women, and the constant fear of social boycott, several in the community still feel at least the panchayat does not criminalise them. Also, the panchayat diktats get defied regularly and people have been exerting their right to marry the person of their choice and educate girls from the community. Although a very small number, the directory has documented 25 women from the community who have either joined the police force or are working as social workers or nurses. Chavan’s daughter is a fashion designer working in Pune. “If not for these panchayats, the tribe would have disintegrated long ago and we would not come together in large numbers every time there is a crisis,” Shivaji Bhosale, son-in-law of one of the victims, Bharat Malve, tells The Wire. He was referring to the spontaneous protests that were organised in Pune, Sangli and Solapur soon after the news of lynching in Dhule broke. 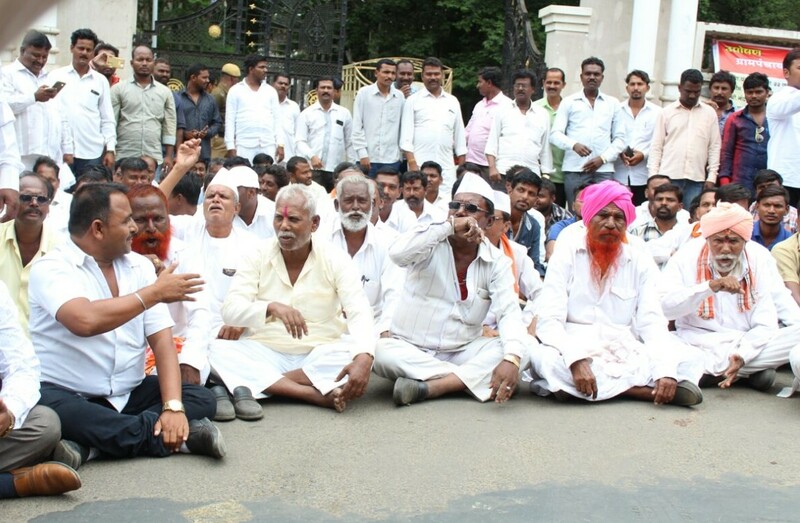 These protests also led to the chief minister announcing Rs 5 lakh as compensation for the families of the deceased. The nomadic and the denotified tribes do not have constitutional protection and are not covered under the Scheduled Castes and Tribes (Prevention of Atrocities) Act, 1989. In the absence of legal protection, barely any welfare scheme has been extended to the community. The National Commission for Denotified Nomadic and Semi-Nomadic Tribes, chaired by Bhiku Ramji Idate, a senior RSS functionary, has in a report compiled on the socio-economic condition of the community called them, “poorest of the poor, most marginalised and most downtrodden communities” who are subject to “social stigma, atrocity and exclusion”. He has recommended that the NT/DNT tribes also be given protection under PoA, but due to lack of political will, there has not been any progress so far. Darshan Ingole, a lawyer from the community who is practicing in the courts of Mumbai, says financial compensation, outrage and protesting on the streets every time the community is met with violence might be a natural response to injustice, but it is not enough. “Of the five people who were killed, one was only 19. Besides empathising with the community in the face of such a tragedy, we need to ask why is a 19-year-old out on the roads begging. Why is he not in school, like other boys his age?” Ingole asks. He further adds that it was not just a chain of WhatsApp messages that killed those five men from the community, but “the apathy of the state and society that had pushed them to such a vulnerable state where the only way to survive is to wander around and beg”. “Unless the state and society are willing to address the real reasons behind my community’s dismal condition, such incidents will, unfortunately, continue to occur,” Ingole feels.